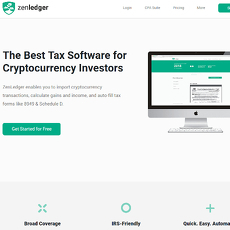 CryptoTrader.tax aims to be a simple tax solution for crypto traders where traders can complete their tax in just three steps. Users import their trades, add their income from other sources, and download the tax reports. The software allows you to input an unlimited amount of traders and see the tax report. This enables users to see if the software provides value to them before downloading. If users want to export and download, they make a payment of $29.99 for exporting the tax report. The payment includes a whole year of revisions to the report. This solution is aimed at users in the US. The exporting enables users to generate their IRS 8949 form. 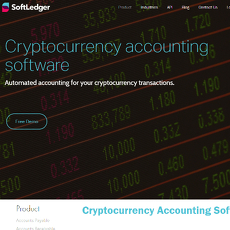 CryptoTrader.tax also facilitate connecting users with tax professionals. 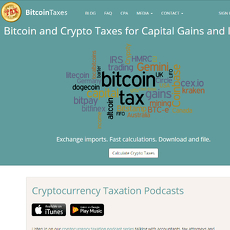 There is a Crypto Accountants tab on the page where users can view tax professionals in their state. Users in other tax jurisdictions outside of the US will be better suited to finding other solutions. Supported exchanges include Coinbase, GDAX, Gemini, Binance, Bittrex, and Poloniex. This list is not extensive and some users may find that the platforms and exchanges they use are not supported by the service. There are also some features other competitors have which CryptoTrader.tax does not have. For example, BitcoinTaxes enables users to import their transaction data straight from a wallet address or from the blockchain. 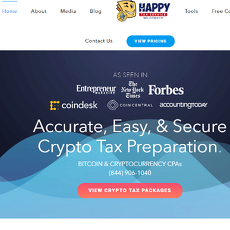 The pricing is also higher than BitcoinTaxes but this service does include unlimited revisions for the tax year. Overall, the service provides a good tax solution with simplicity and the ability to view the report before purchasing some of the key advantages.